NEW YORK -- Major League Baseball and USA Baseball are promoting a modified version of youth baseball that picks up the pace and gets players more active with fewer innings, batters and pitches. Hit and Run Baseball is part of the MLB's Play Ball initiative announced Tuesday. Hall of Famer and special adviser Cal Ripken Jr. is leading the cause. "When we were kids, we had a chance to be creative in how to play," Ripken said. "There is a little creative opportunity in the structure of this game. Nowadays, everything is structured for our kids." - Four batters per inning. - Three swings per batter, with no balls or strikes called on taken pitches. If no contact is made in three swings, a tee is used or a coach can side toss to the batter. - Six players rotating positions each inning, with no outfielders. The center fielder roams behind the infield. - No catchers. Coaches catch pitches. 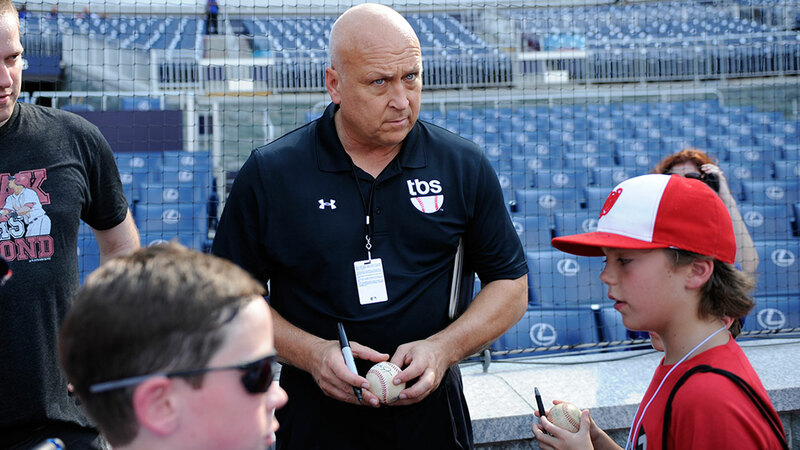 "It's not trying to teach kids how to play the game faster," Ripken told AP Tuesday as he made the rounds from ESPN to MLB Network to pitch Hit and Run. "It's a way to get more reps. To present the game that's more fun. To get to make it more interactive for kids. It's a teaching opportunity. There's a lot of value in there. "You get to learn the game better. You get to practice all aspects of the game. Even if you're not getting any hits, you still can participate in the baserunning and different defensive positions." Hit and Run's recommendations encourage coaches to add scoring bonuses for properly executed defensive plays and reward teams with an extra batter when players hustle out to the field in 20 seconds. There's no stealing and runners are placed on base in the third inning. "Hit and Run Baseball was created as a teaching tool designed to remind baseball participants that playing our game does not require a one-size-fits-all approach," MLB Commissioner Rob Manfred said. "There are many different ways to structure practice, games and tournaments so that players get the most out of their experiences, particularly through crisp pace of play while also limiting pitch count burdens on pitchers." The average nine-inning MLB game stretched to a record 3 hours, 5 minutes last season, up from 2:46 in 2005. This season MLB imposed stricter limits on mound visits by players in an effort to speed games, but decided against 20-second pitch clocks for 2018. The players' union has pushed back against changes aimed at pace of play. The first month of this season was the first in MLB history to record more strikeouts than hits, according to the Elias Sports Bureau. Ripken said Hit and Run is not about long-term changes to how baseball is played in the big leagues. That leaves the pros to look into how to pick up the pace. "In the minor leagues, you might want to shape how they start to play the game and get comfortable with their routine so that that they can translate to the big leagues," Ripken said. "But as kids, you're learning the game and you want the game to be fun. You want the game to present opportunities to play all facets of the game."